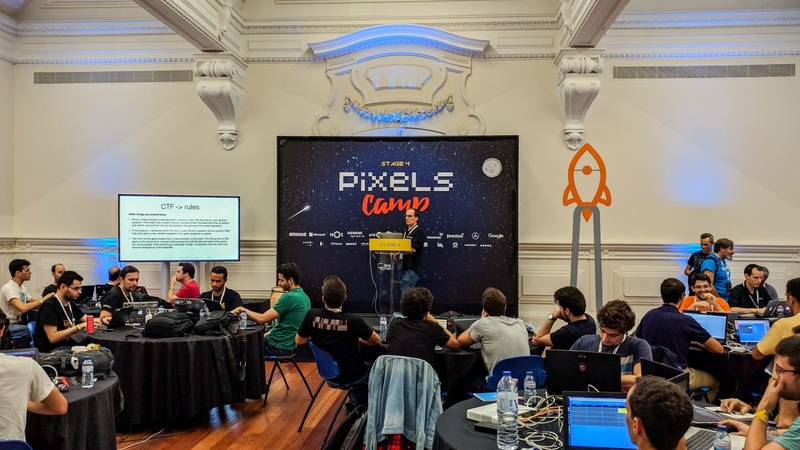 The Pixels Camp Security CTF is a competition for anyone who's passionate about security and has a special interest in the areas of web security, cryptography and forensics. It happens on the first evening of Pixels Camp and this is your chance to qualify for it, while learning alot along the way. 1CTF Challenge #1 If you can read this, you're using a broken browser. The first 10 participants to complete the qualifying challenges will be asked to form a team of (at most) four elements. The other three elements of the team don't need to have participated but everyone must apply for Pixels Camp. Anyone who successfully completes the qualifiers is automatically approved for Pixels Camp. The first participant to complete them gets an additional prize at the event's award ceremony. We believe the qualifiers provide good preparation for the CTF. If you, or your team, are able to complete the qualifying challenges, then you'll most likely perform well at the CTF since they share the same topics. However, you can (and should) give these challenges your best shot. They should be fun regardless. The competition starts off with one open question (the lead question) and the first team to answer it gets to open another question (which then becomes the lead question), but all open questions are still eligible to be answered by any of the teams at all times. During the competition, each team has access to a dashboard where questions can be opened and answers can be submitted. Information for all teams is also displayed in a global gameboard so that the audience can follow along the competition's progress. Only team members can participate in the competition. You cannot get help from anyone but your teammates. For more information see the complete rules.